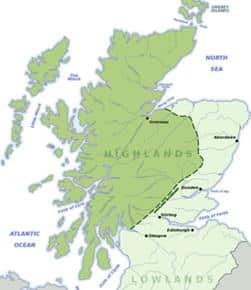 Scottish Highland Cattle have lived for centuries in the rough and rocky terrain in the remote Scottish highlands. The extremely harsh conditions created a process of natural selection, where only the fittest and most adaptable animals survived to carry on the breed. 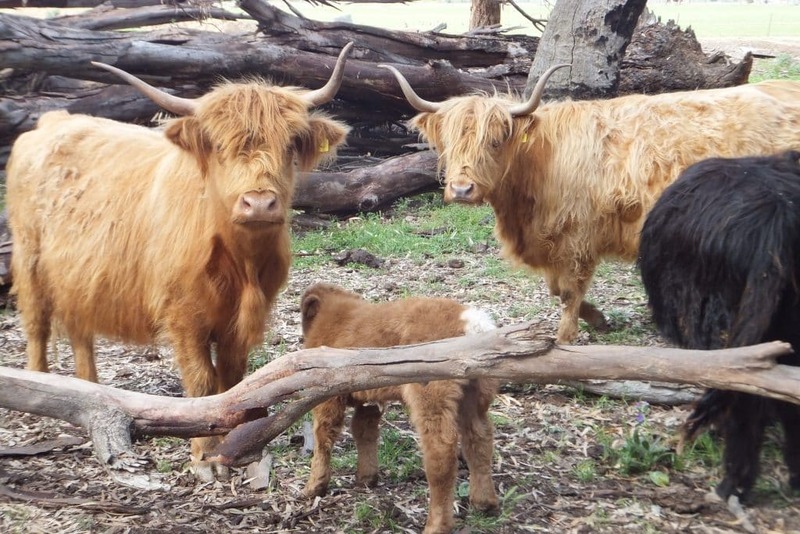 Highland cattle can now be found in Europe, North America and some parts of Australia. Highland Cattle have a large, strong build and a thick double layer of long hair which can be black, brindled, red, yellow, dun or white. They have two horns on the top of their heads and each animal can weigh between 400kg to 1,000kg. Height ranges from 90cm to 1.1m at the shoulder. They are the oldest registered breed of cattle with the first herd being documented in 1884. Highland Cattle (also known as the hairy cow) are bred primarily for their lean meat and for cattle shows. They use their horns to dig through thick snow to find vegetation that lies underneath and to defend themselves from predators and other rival Highland Cattle. Scottish Highland Cattle are an ancient, Celtic breed of cattle. Cattle consume as much as 70kg of plant matter a day! Diet: Grass, leaves, flowers, shrubs and browse on low hanging trees. They reach sexual maturity at about 18 months. Reproduction: Mating occurs at any time throughout the year. Gestation lasts approximately 277-290 days with a single calf usually born although occasionally twins are born. Predators: Humans, Wolves, Coyotes, Mountain Lions and occasionally Bears.